Parsec, Inc. provides contracted terminal management services in the United States and Canada. Its services include equipment loading/unloading, rail stock inspection and repair, lift equipment maintenance, customized fleet maintenance, rail equipment brake inspections, trailer/container repair, road-railer inspection and repair, facility design and start-up, yard hostling, switching, D.O.T. inspections, train verification, train coordinating, gate operations, customs administration, facility maintenance, customized intermodal, equipment leasing, facility security, yard and lot check, billing and tracking, O-T-R drayage, and equipment sales. Parsec, Inc. was founded in 1987 and is based in Cincinnati, Ohio. Air Transport Services Group (ATSG) is an American aviation holding company which provides air cargo transportation and related services to air carriers and other companies that outsource their air cargo lift requirements. ATSG subsidiaries include three cargo airlines with separate and distinct U.S. FAA Part 121 Air Carrier certificates. ATSG provides air cargo lift, aircraft leasing, aircraft maintenance services, airport ground services, fuel management, specialized transportation management, and air charter brokerage services. ABX Air, Inc., formerly Airborne Express, is a cargo airline headquartered at Wilmington Air Park near the City of Wilmington, Ohio, USA. ABX Air operates scheduled, ad hoc charter and ACMI (Aircraft, Crew, Maintenance and Insurance) freight services. It also provides flight support services and training. ABX Air is owned by Air Transport Services Group. Comprehensive Logistics is a fourth-generation, family-owned automotive logistics company that strives to solve the most-complex logistics challenges of top OEMs. Its wide range of services include: warehouse management, contract manufacturing, dedicated shuttles and yard management intelligence. More than 2,300 employees at Comprehensive Logistics deliver high-quality OEM warehouse and manufacturing support operations. The company is headquarted in Youngstown, OH. Announcements from #CLE City Hall. Continental Express: Excellent driving careers for eligible truck drivers. Apply online for open truck driving jobs, CDL jobs & driver jobs. One of the best trucking companies to work for. Northstar Pulp & Paper, headquarted in Springfield, MA, is a full service recycling and trash hauling company that helps businesses to reduce their waste stream and develops recycling programs. The company is led by the Goodman family that started the recycling business in 1898. Though the core values, such as integrity and service reliability, remained the same, Northstar now proudly operates a plastic shredding and granulating enterprise that allows to provide even more services to its supplier base. Midwest Express Inc. provides consolidation services. The company offers material handling, staging and sequencing, line side delivery, regional logistics center, returnable container center, vendor managed inventory, export packing, sub assembly, engineering, and case and rack design services. It also provides supply chain optimization and business performance solutions; and consolidation/deconsolidation, warehousing, and kitting services. The company was incorporated in 1986 and is based in East Liberty, Ohio. Midwest Express Inc. operates as a subsidiary of Honda Logistics inc.
Total Quality Logistics, Inc. provides non-asset based third-party logistics services for companies in the United States and Canada. The company offers full truckload transportation for commodities ranging from steel and lumber to paper and plastic materials, fresh chicken, and frozen foods. It also provides load management, advanced system integration, web-based shipment tracking, and invoicing and payment solutions to clients. The company was founded in 1997 and is headquartered in Cincinnati, Ohio with additional offices in Charleston, Charlotte, Chicago, Columbus, Denver, Indianapolis, Dallas, Houston, Tampa, Austin, Louisiana, and Portland. When it comes to material handling, Hy-Tek has over fifty years of experience of providing the highest quality warehouse solutions and construction equipment. Operates As A Provider Of Management Consulting Services, Specializing In Distribution Channels (100%). *** Lavy Trucking is dedicated to providing top drivers who deliver results throughout the Eastern United States. Thomas Transport Delivery Inc. ---- Thomas Flatbed Inc.
Star Leasing has been providing a quality one-source solution to our customers' semi-trailer needs since 1974. Star Leasing is 100% employee owned assuring that your needs will be attended to by one of our employee owners. The Greater Dayton Regional Transit Authority, formerly known as the Miami Valley RTA, is a public transit agency that generally serves the greater Dayton, Ohio area. Component Repair Technologies Inc. (CRT) is an FAA certificated repair station specializing in gas turbine engine component repairs for air, land, and sea. Where quality and service meet for all of your warehouse & distribution center environment needs! The Central Ohio Transit Authority is a public transit agency serving the Columbus, Ohio, area, including several outlying cities in Franklin County and the rest of the central Ohio area, which includes Columbus. AirNet is an American Part 135 cargo airline based in Franklin County, Ohio, USA, near Columbus. K&M Tire is a tire wholesale company established in 1970. We continue to demonstrate our leadership role in the transportation community by offering our clients a company consisting of 100% Owner-Operators, dedicated to providing quality performance, customer service, and satisfaction. We are an asset-based, privately owned business. We specialize in hauling steel coils, guardrail, blanks, sheets, bar stock, tubing and building materials. Green Lines utilizes flatbeds, side kits and rolling tarp systems. The Wheeling and Lake Erie Railway is a Class II regional railroad that provides freight service, mainly in the US state of Ohio. Airborne Maintenance & Engineering Services (AMES) is an MRO based in Wilmington, Ohio, Ohio, USA at the Airborne Airpark (ILN). It provides aircraft maintenance, repair, and overhaul services. AMES holds a Part 145 FAA Repair Station certificate. It is part of the Air Transport Services Group (NASDAQ: ATSG). Clarke Power Services, Inc. provides commercial vehicle maintenance services to transportation and service industries in the United States. The company designs and manufactures diesel engines to fire pump manufacturers; and diesel generator sets and related components used in industrial, commercial, and residential industries. It also supplies parts; and offers services for on-highway trucks and off-highway trucks. The company was founded in 1964 and is based in Cincinnati, Ohio. It has service locations in Ohio, Kentucky, Indiana, Missouri, Tennessee, Illinois, North Carolina, Georgia, and Mississippi. 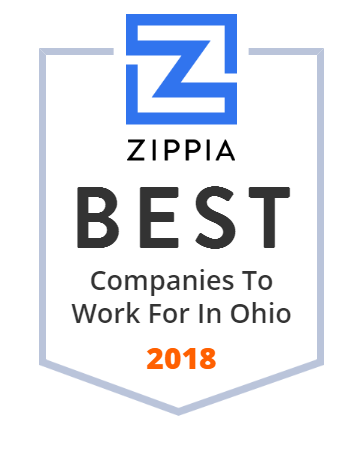 Workhorse Group Incorporated is an American manufacturing company based in Cincinnati, Ohio, currently focused on manufacturing electrically powered delivery and utility vehicles. Youngstown-Warren Regional Airport is a public and military airport in Vienna Township, Trumbull County, Ohio, 11 miles north of Youngstown and 10 miles east of Warren. Logan trucking is a family owned transportation company in Canton, Ohio. Specializing in flatbed, side kit, and soft side van movement.